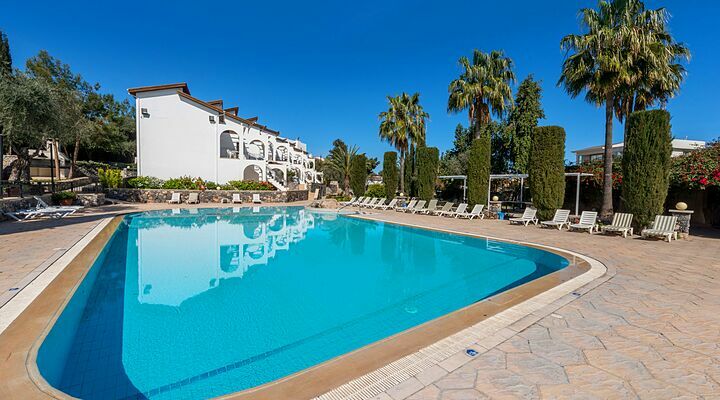 7 Nights from £369 inc Flights, Hotel & VIP Transfers - £159 OFF! 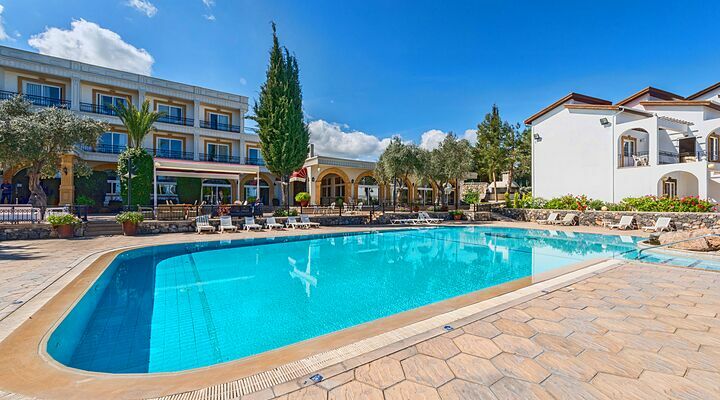 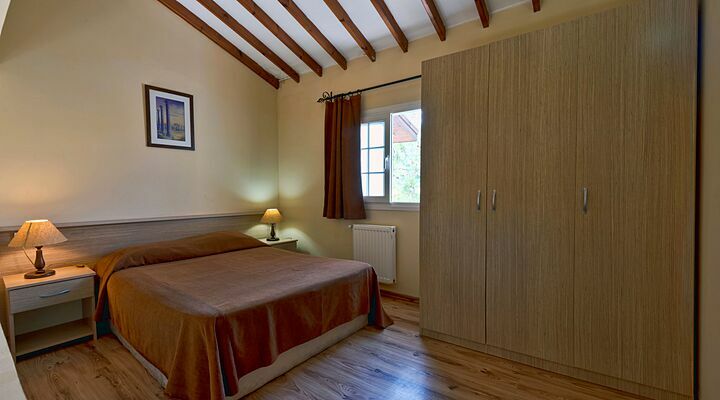 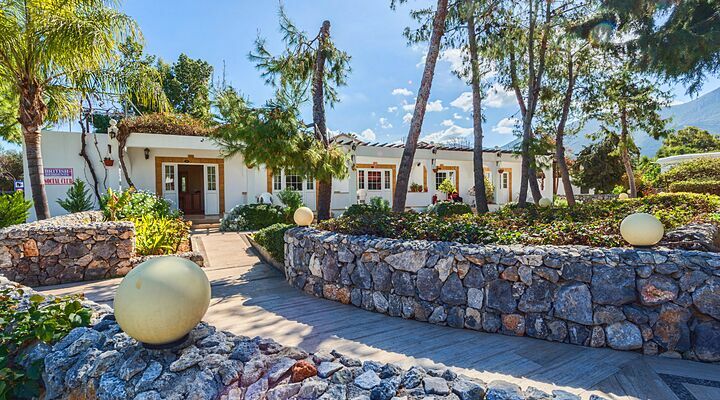 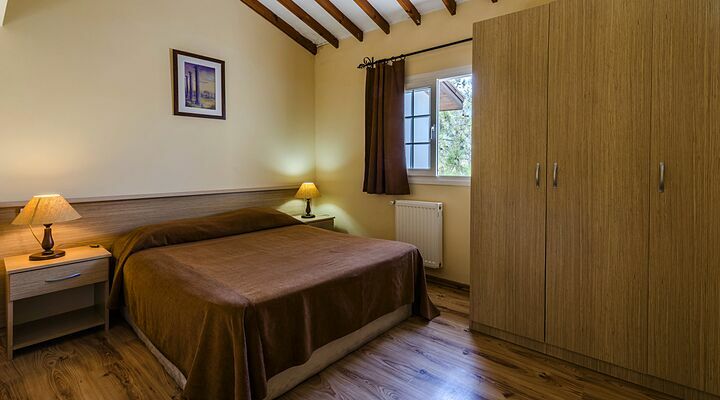 Altinkaya Holiday Village is a relaxing, family run hotel on the road to Bellapais with spacious hotel rooms set in delightfully lush, well-tended gardens. 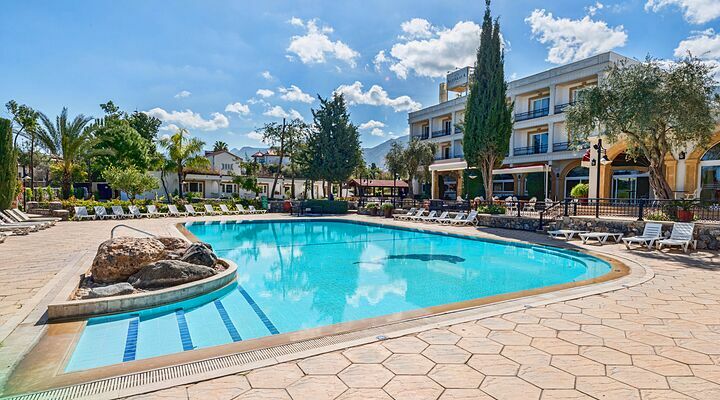 With great views down the hillside to Kyrenia and the sparkling Mediterranean Sea, Altinkaya Holiday Village is a clean, comfortable and friendly place to relax. 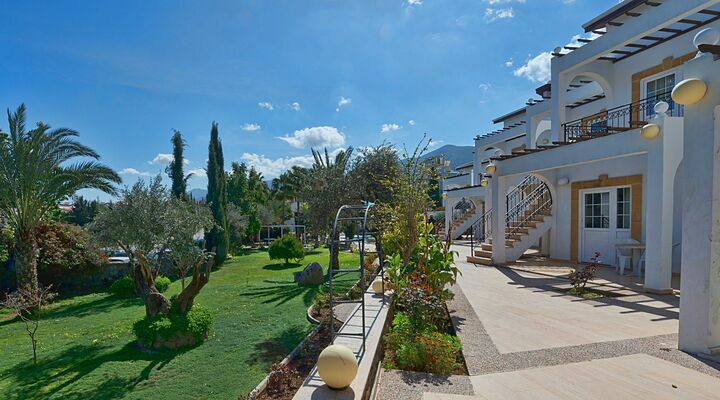 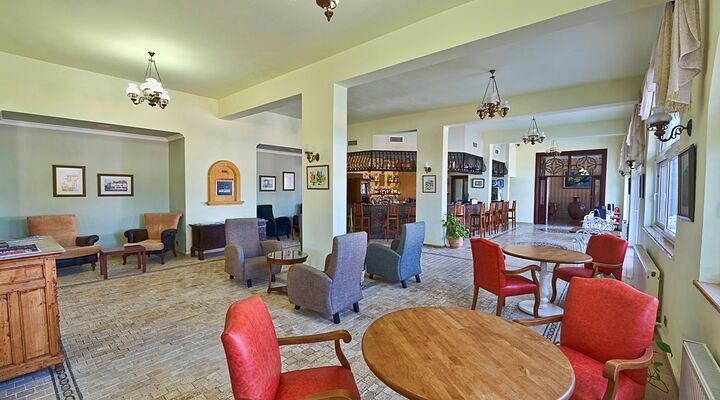 From the moment you arrive in your private taxi transfer, you're assured of a warm welcome at this popular family-run hotel in North Cyprus. 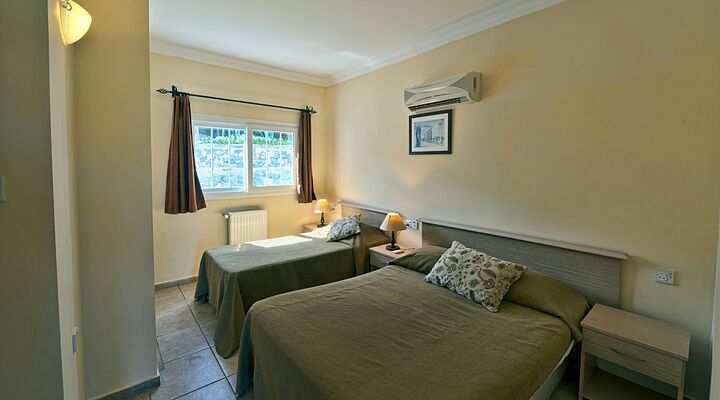 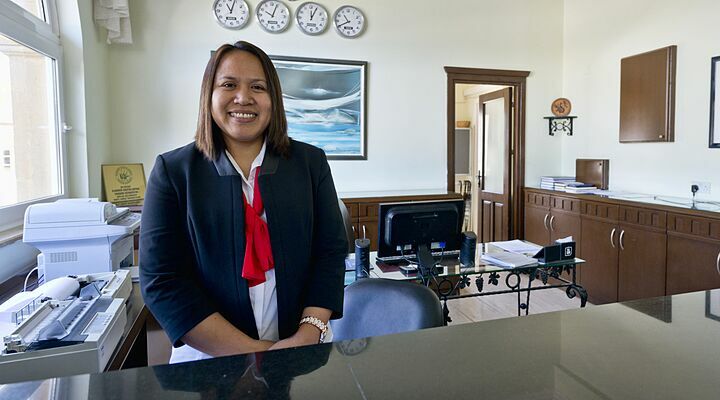 The Altinkaya Holiday Village staff will always be on hand to help you, and their 'can do' attitude ensures your stay will be relaxing, comfortable and hassle-free. 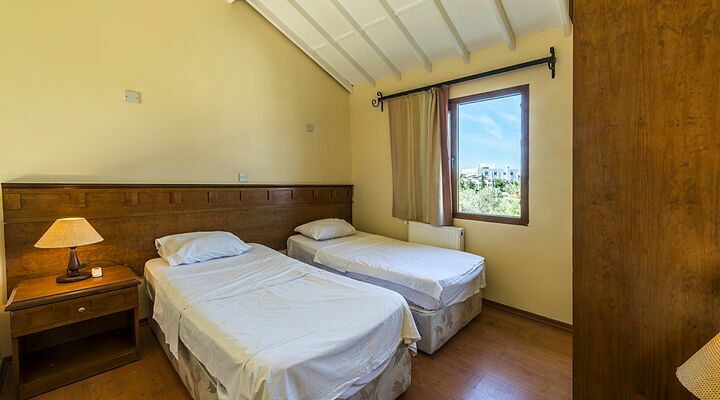 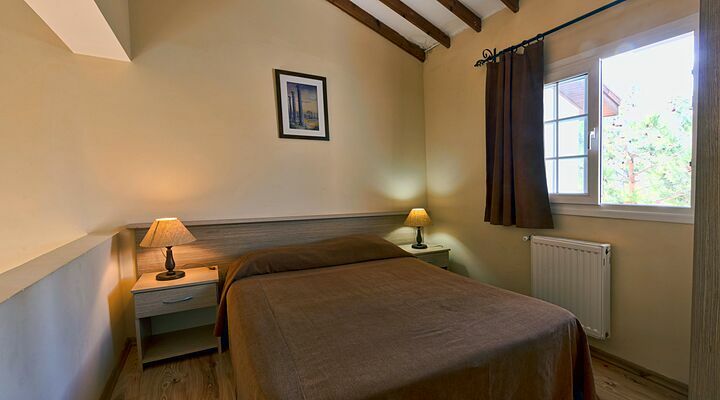 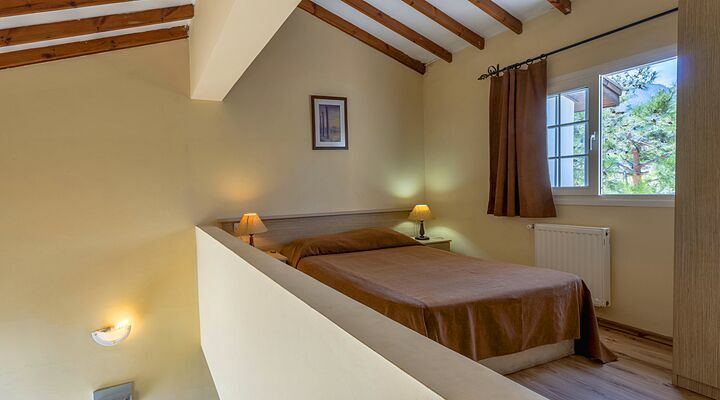 Choose from deluxe rooms in the main hotel, or twin bed studio villas and bungalows (two-level units with gallery bedroom) set in the lush green gardens. 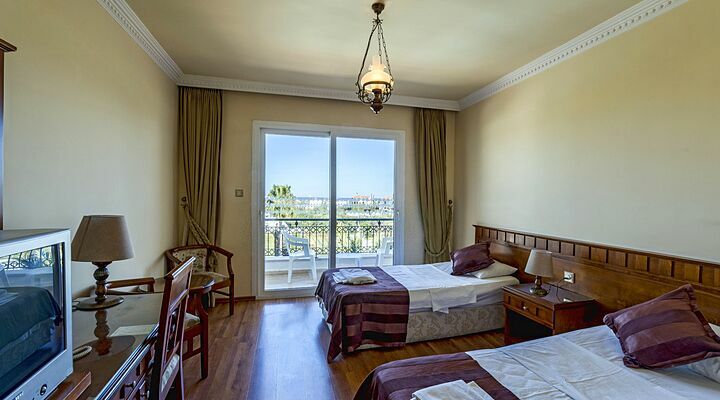 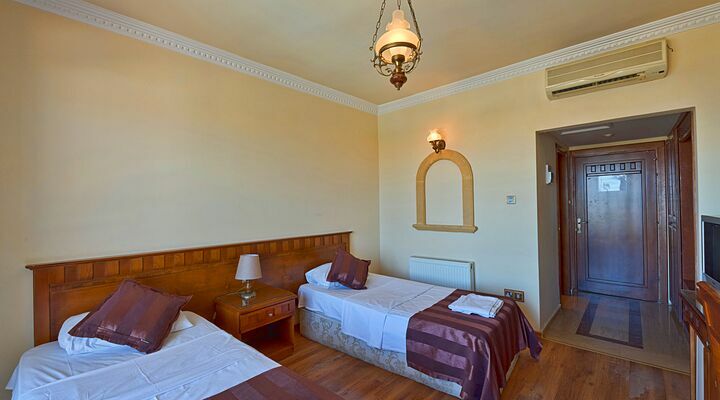 The main hotel rooms at the Altinkaya are all on one level and include en suite bathroom, air conditioning, minibar and satellite TV. 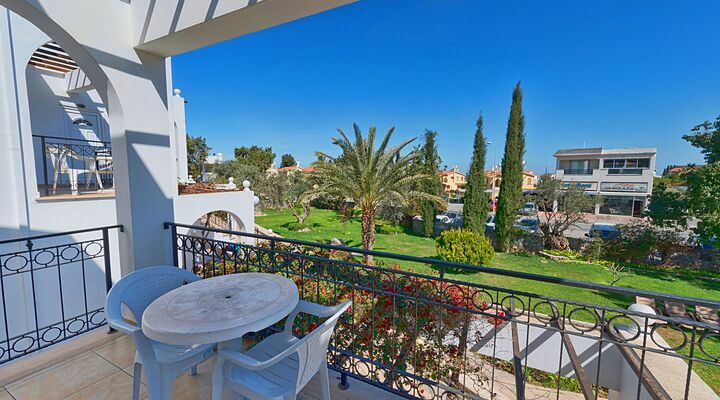 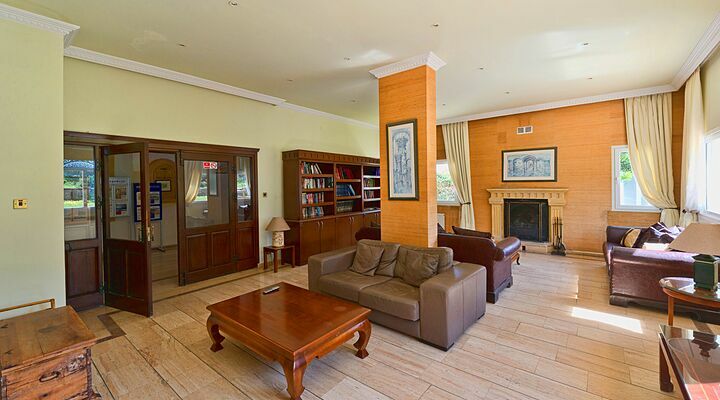 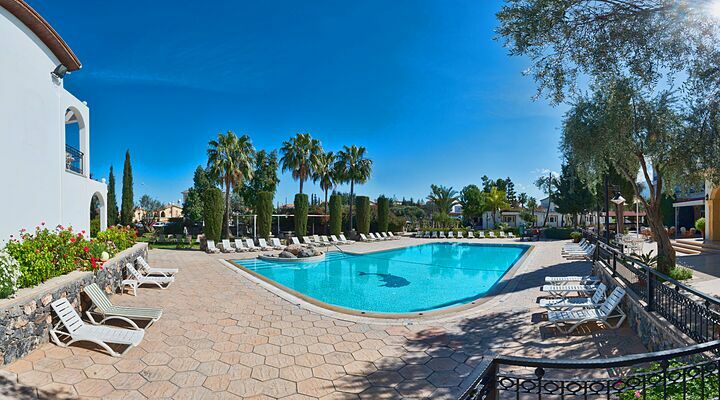 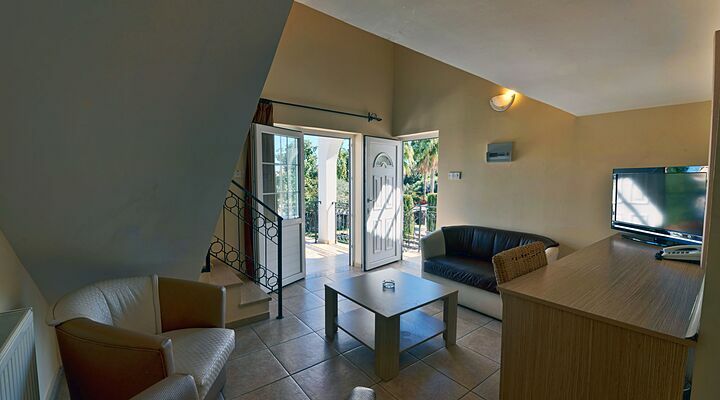 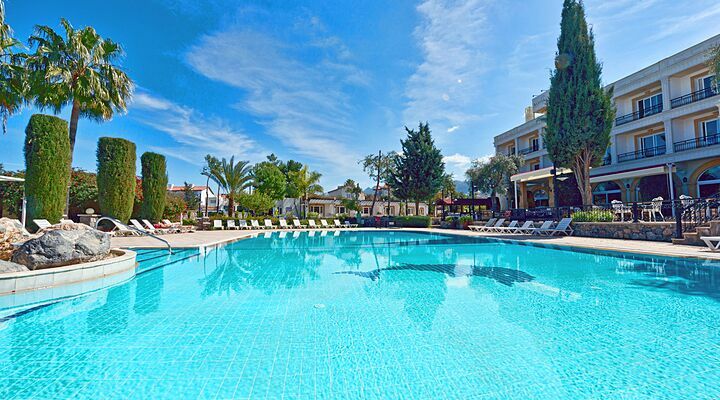 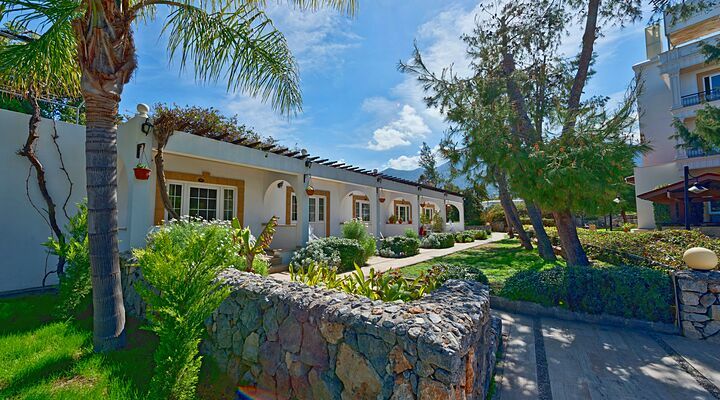 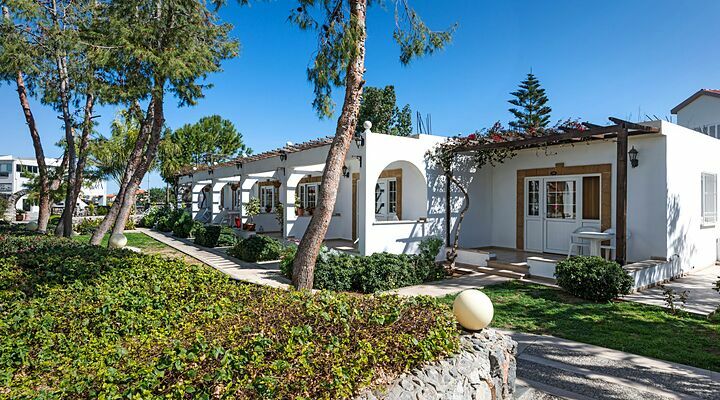 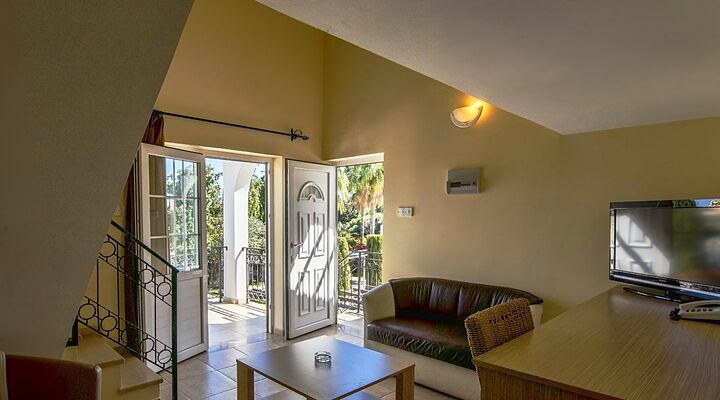 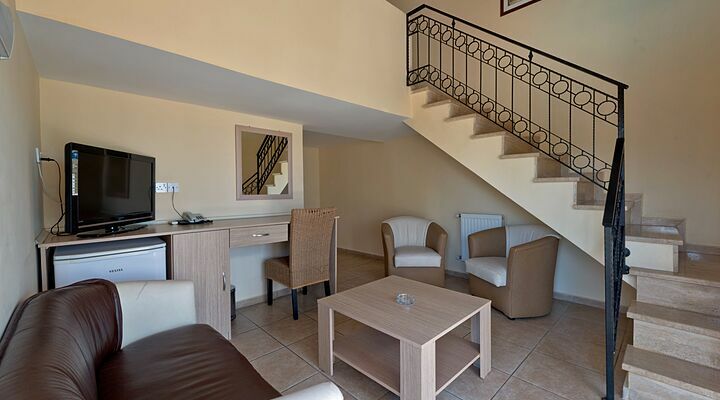 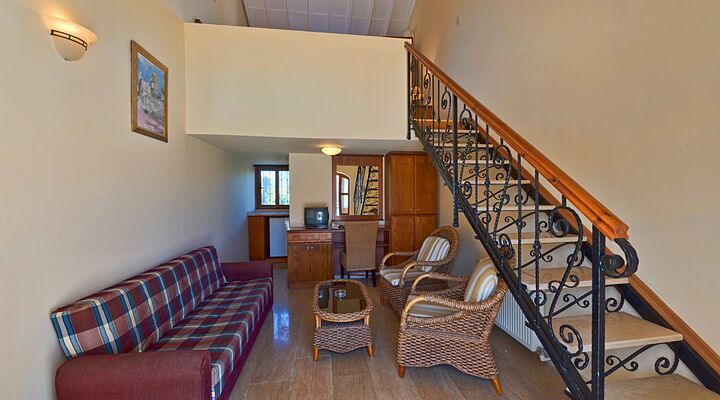 The studio villas are set in the spacious gardens for your own space in the North Cyprus sun. 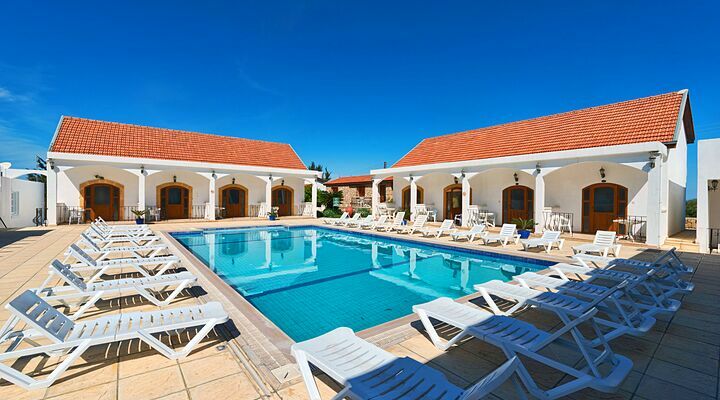 Set apart from the main hotel, the Residence bungalows are particularly popular with younger families, groups and single holidaymakers. 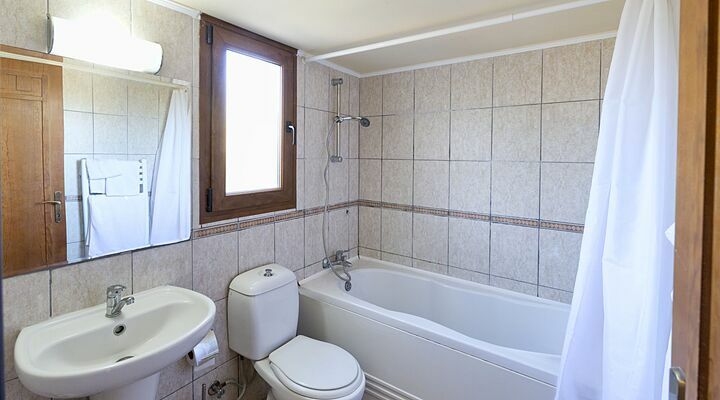 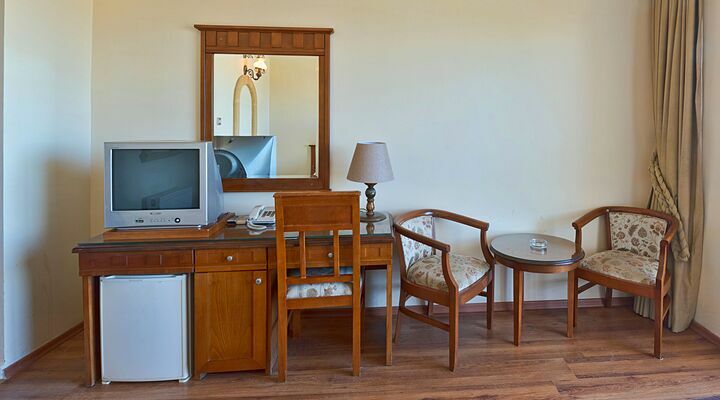 Each bungalow has a separate living area and has small kitchenette with fridge. 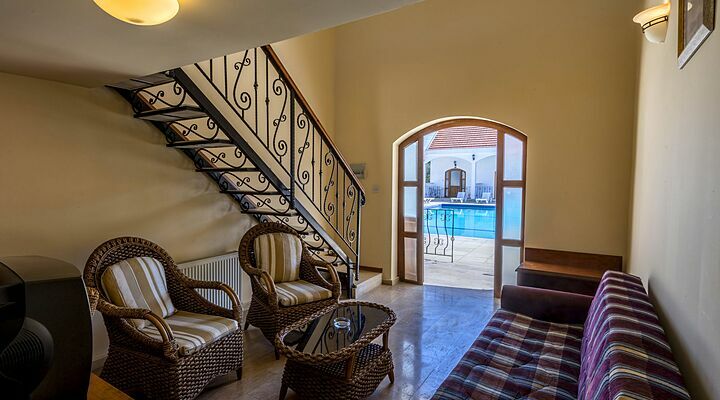 With two outdoor swimming pools, one for each accommodation area, there is always room for you and your loved ones to swim and soak in the summer Cyprus sunshine. 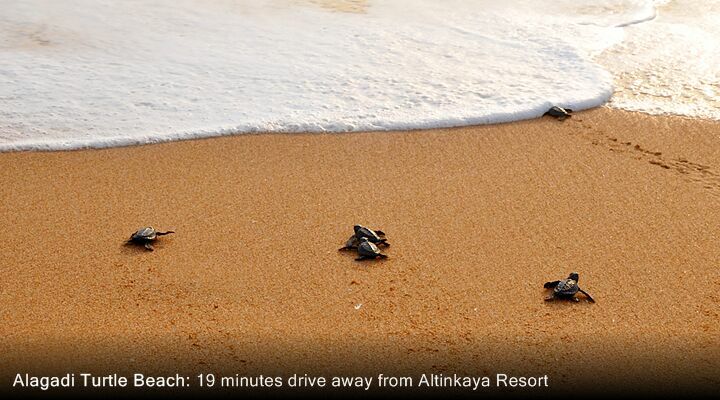 If you fancy a dip in the sparkling Mediterranean Sea, the nearest beach is just 3kms away. 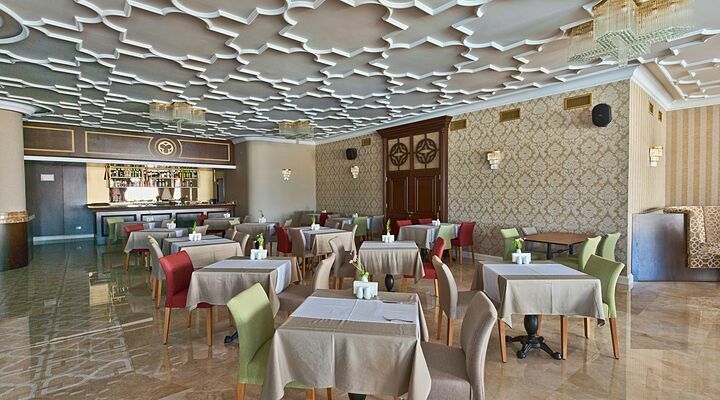 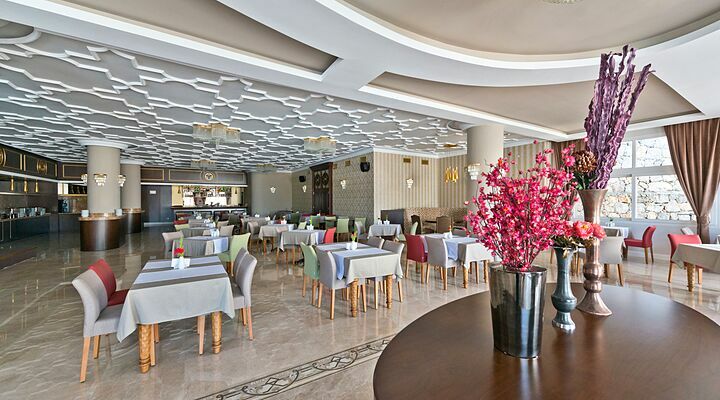 The open buffet breakfast at the Altinkaya Holiday Village is a feast for eyes and tastebuds, and is served in the hotel's Armonia restaurant. 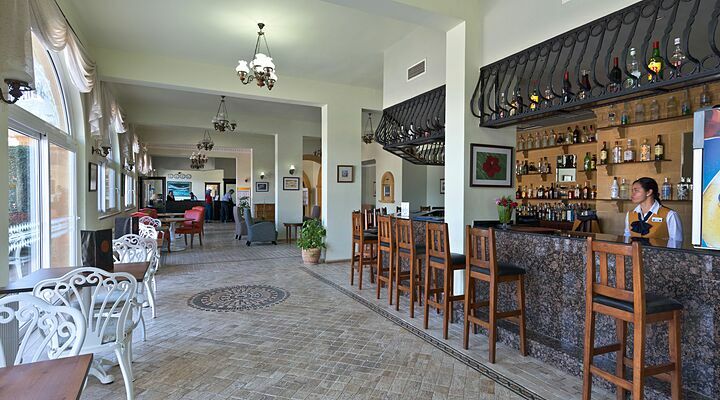 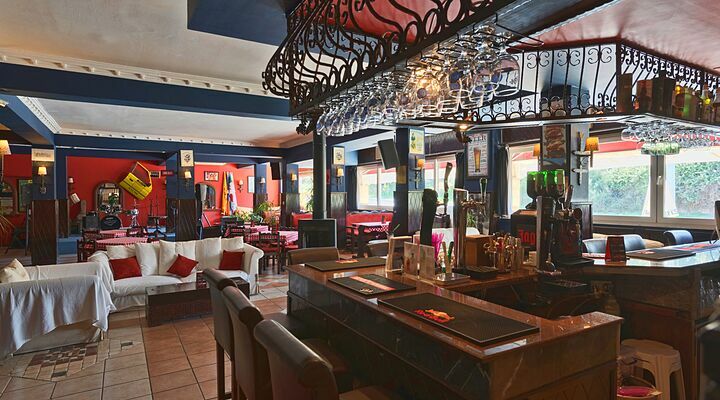 In the evening, this a la carte restaurant is renowned for its Turkish Cypriot cuisine, with rooftop dining and great views of the twinkling lights of the coastline below and the stunning Bellapais Abbey. 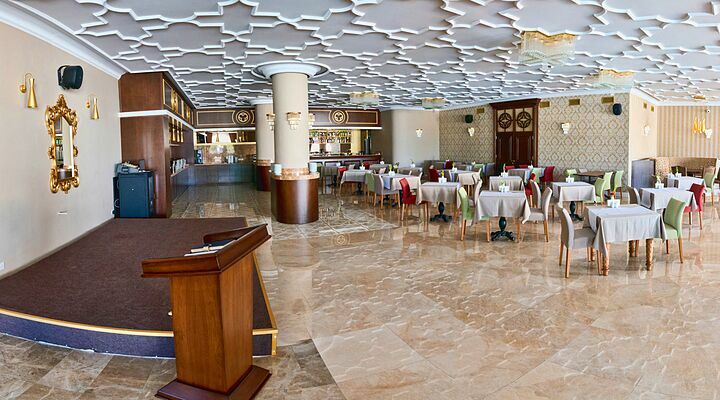 Enjoy live music entertainment during the summer on Thursdays with a BBQ, Free wifi access in the lobby and hotel rooms only. The Altinkaya Holiday Village is just a 10 mins walk from local restaurants and bars in nearby Ozankoy and Kyrenia, so you can stroll home in the warm summer evenings and save on taxi fares! 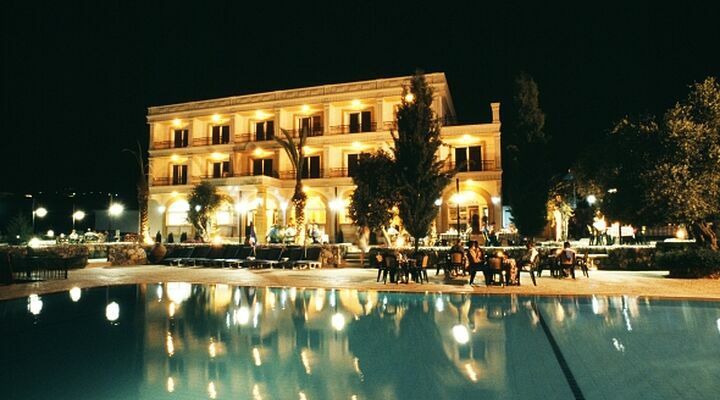 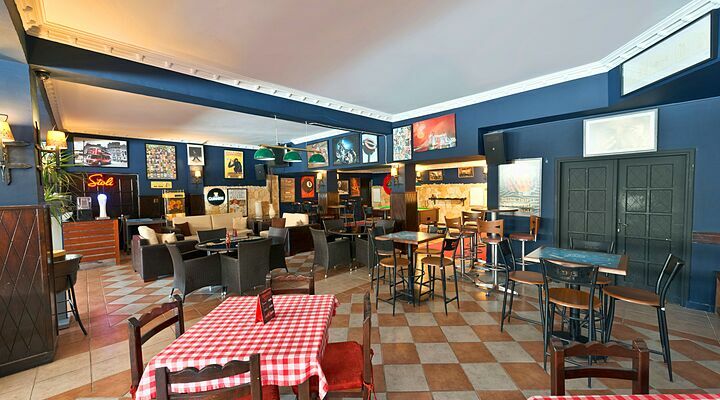 The nearby district of Karakum is an up and coming area for restaurants, so you can dine out without the hassle and prices of Kyrenia town, and enjoy a much shorter taxi ride back to the hotel. 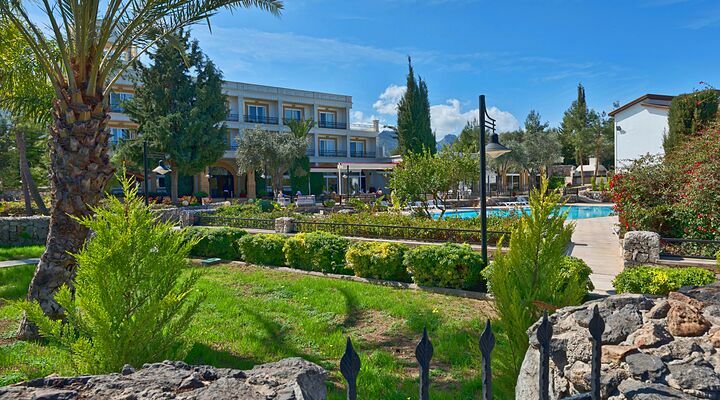 The hotel is in a great location for those who want to enjoy easy access to Bellapais, yet still be within walking distance of Kyrenia. 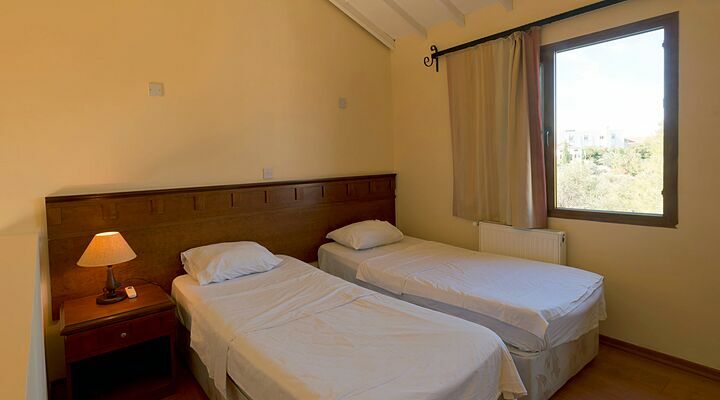 You can explore the atmospheric ruins of Bellapais Abbey, or sit under the Tree of Idleness and dine at the excellent restaurants in Bellapais village, all just a short taxi ride up the mountainside. 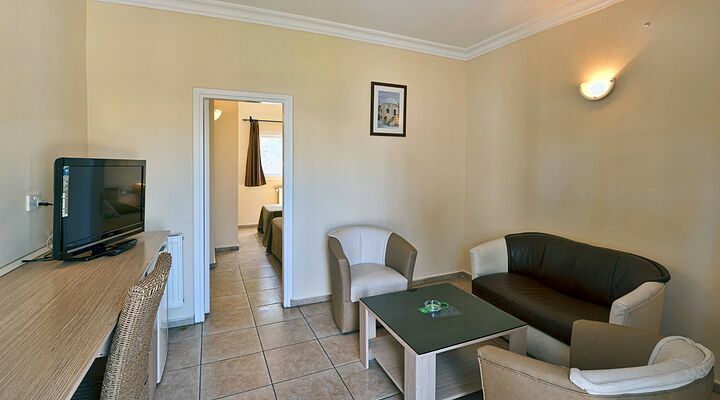 Ercan International Airport is just 30 minutes' drive away, so you can spend more time poolside and less time airside. 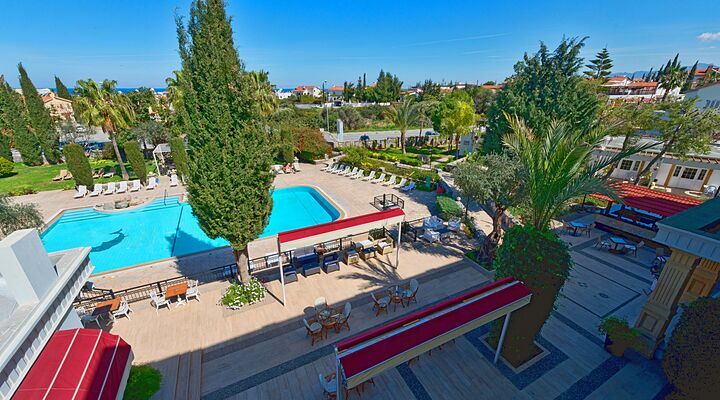 With Go North Cyprus, you can choose scheduled flights from UK regional airports including Manchester and Birmingham, for a relaxed start to your holiday at the Altinkaya Holiday Village.